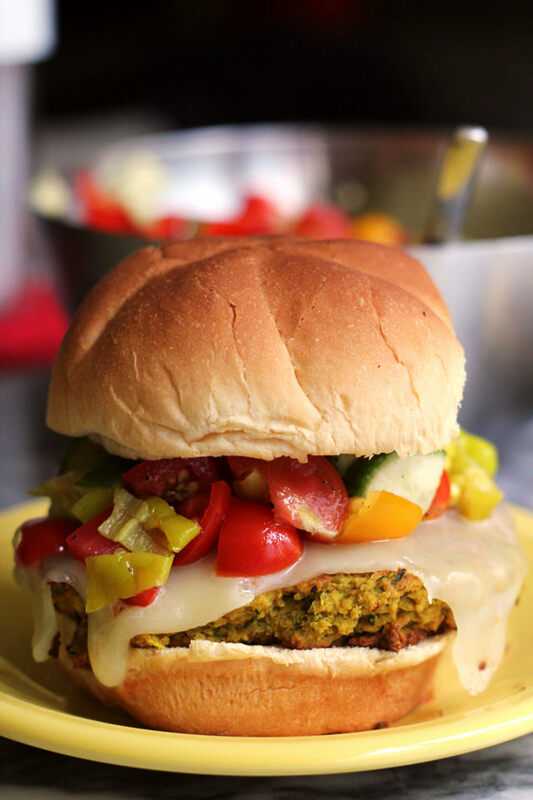 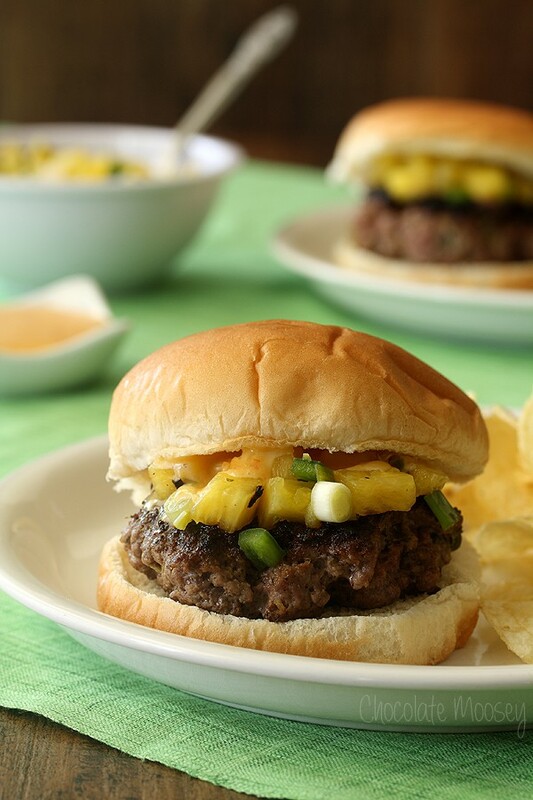 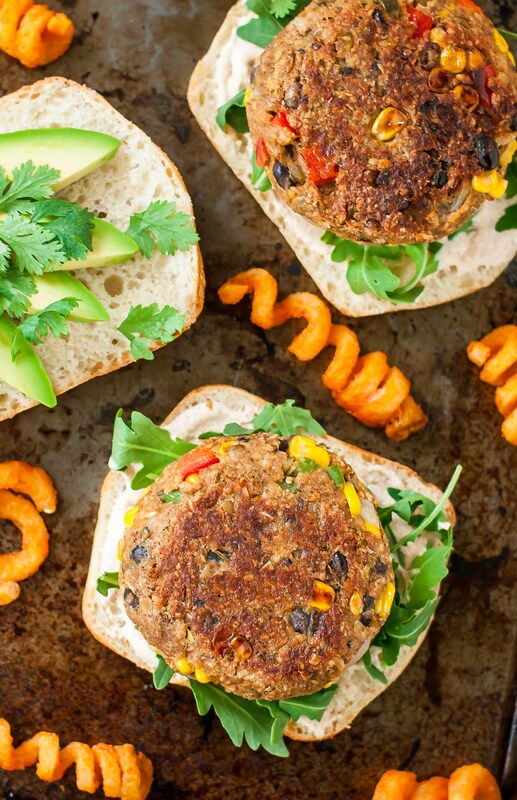 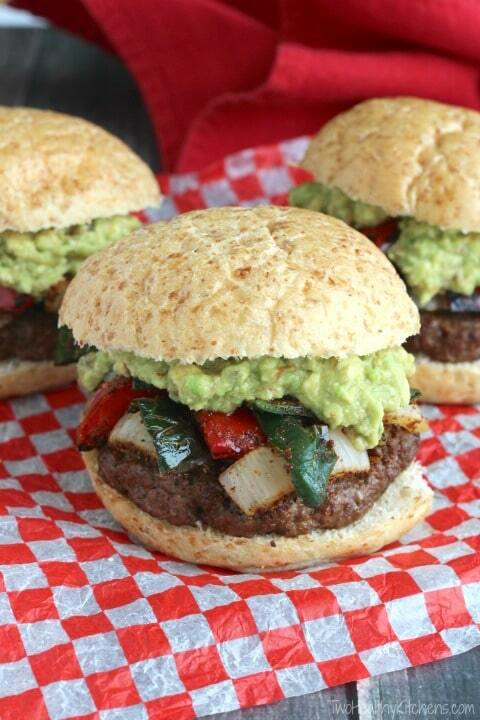 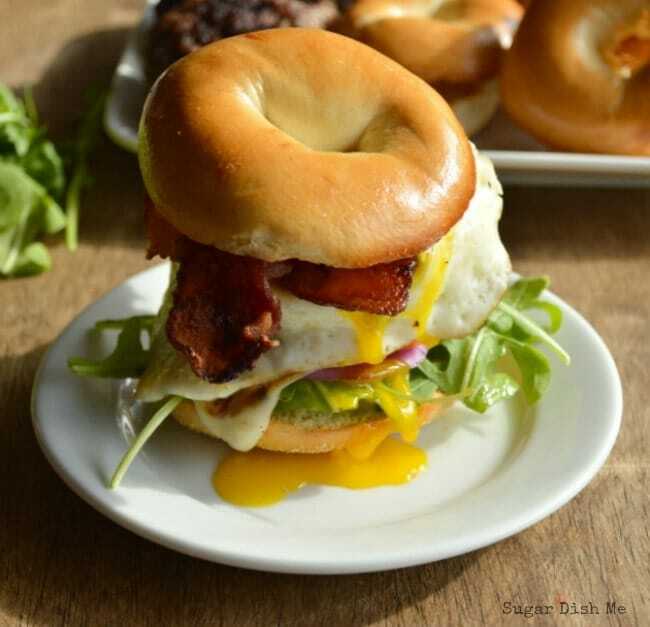 Who says burgers are just for the summertime? 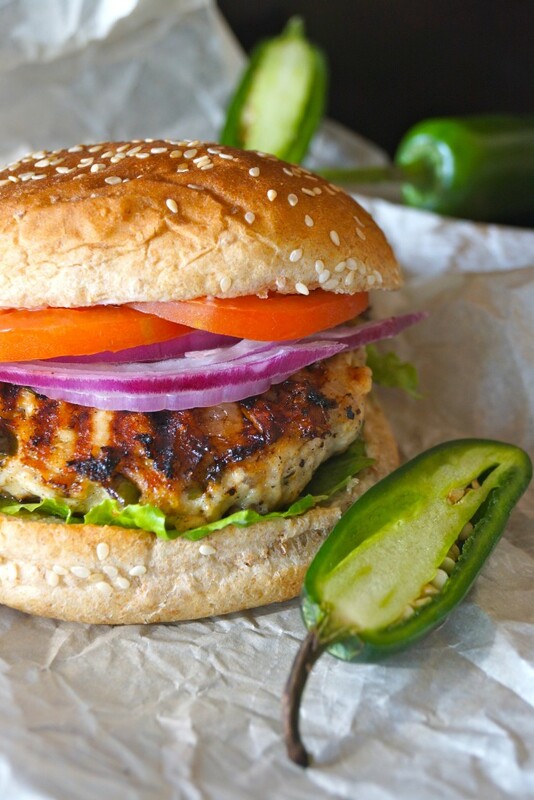 With tailgating season in full swing, I say keep on grilling well into the fall. 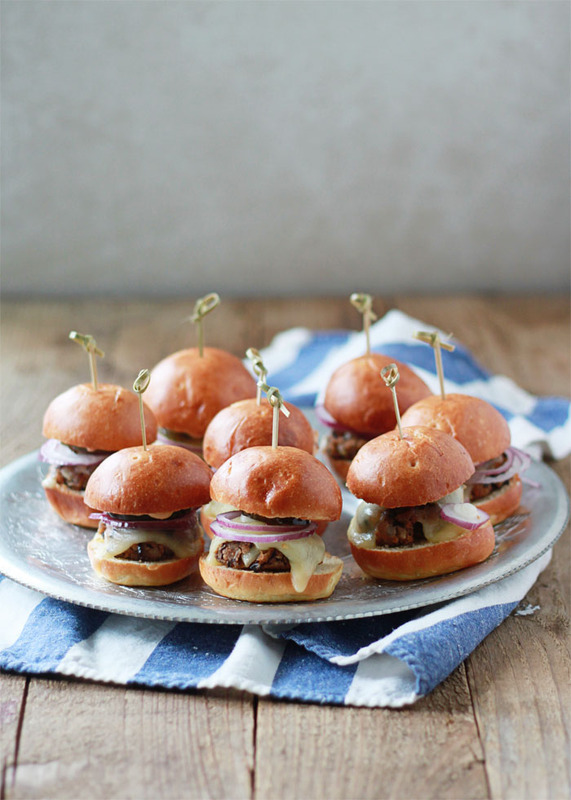 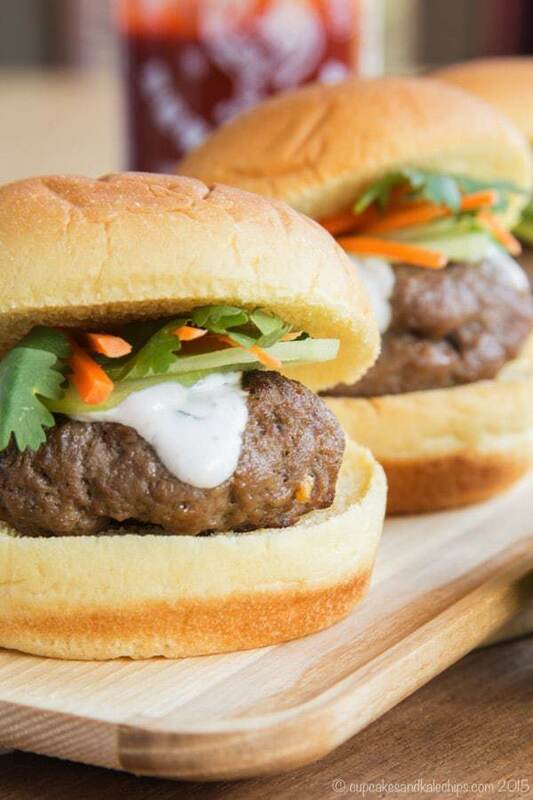 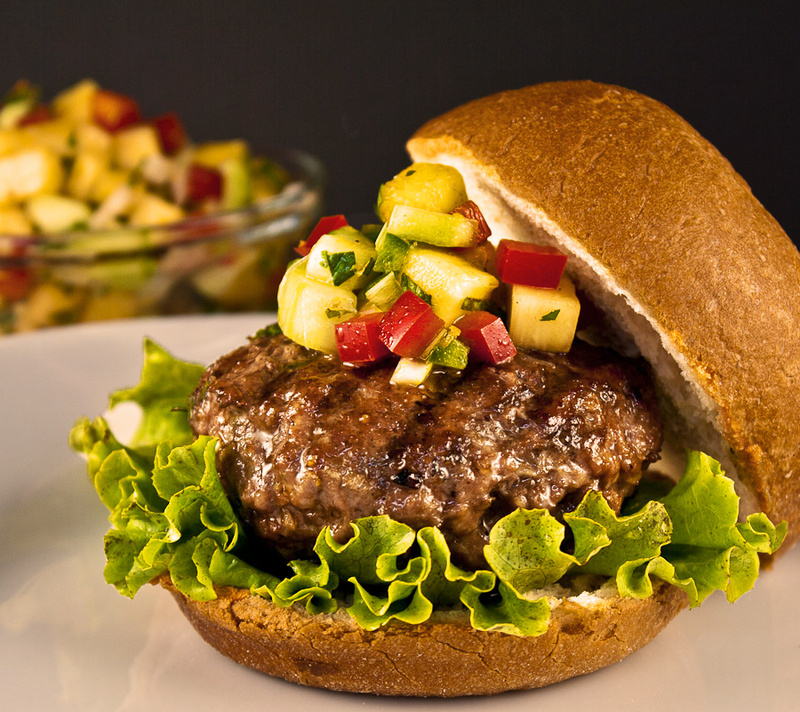 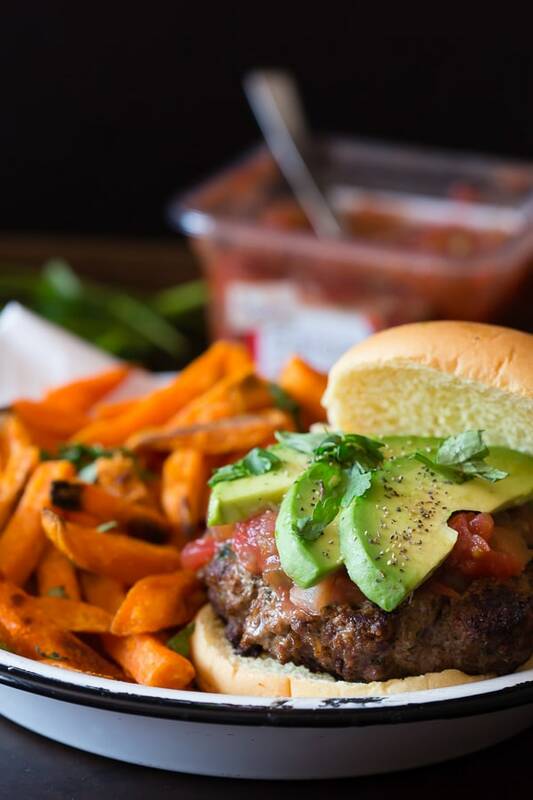 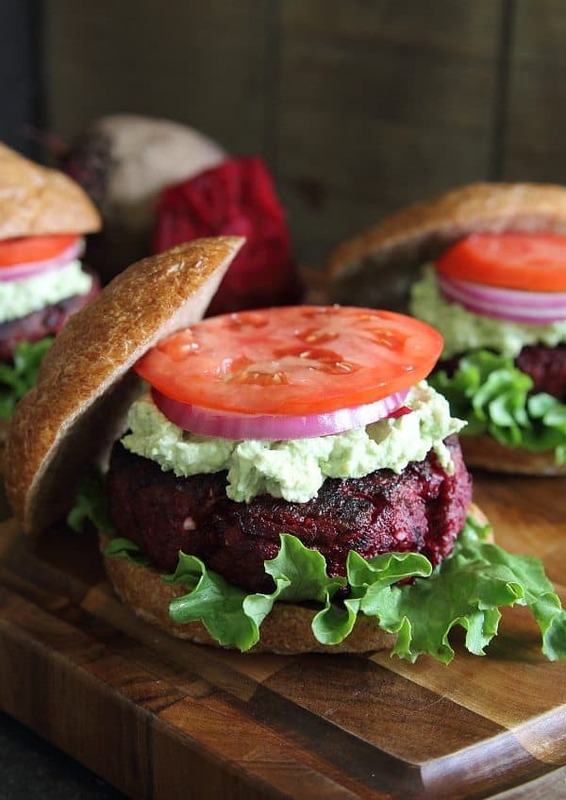 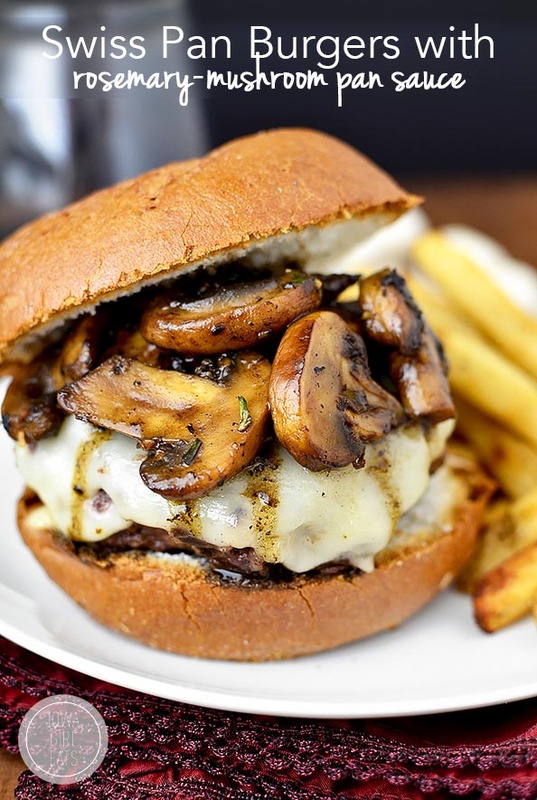 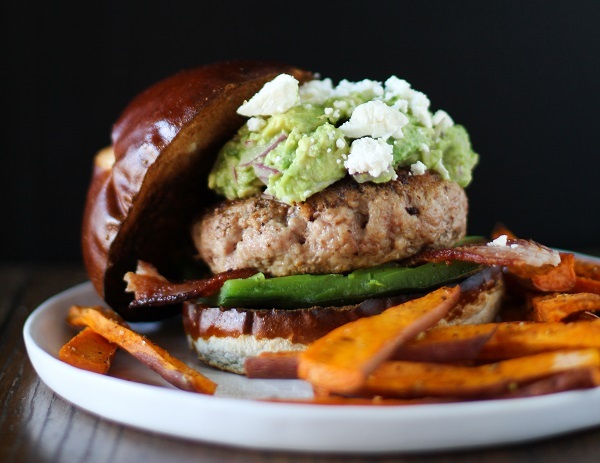 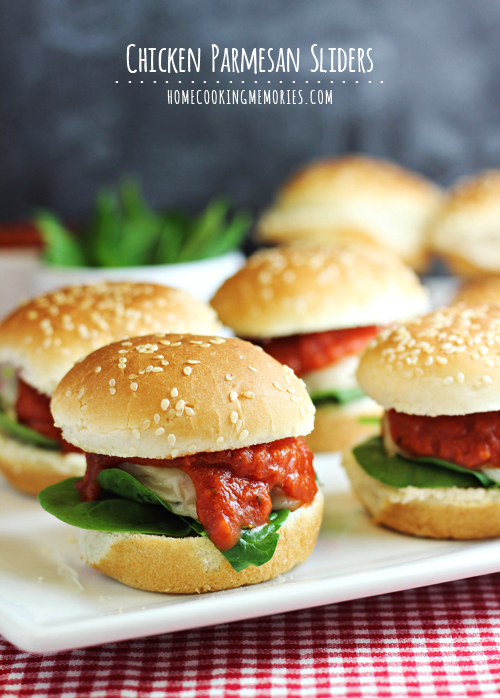 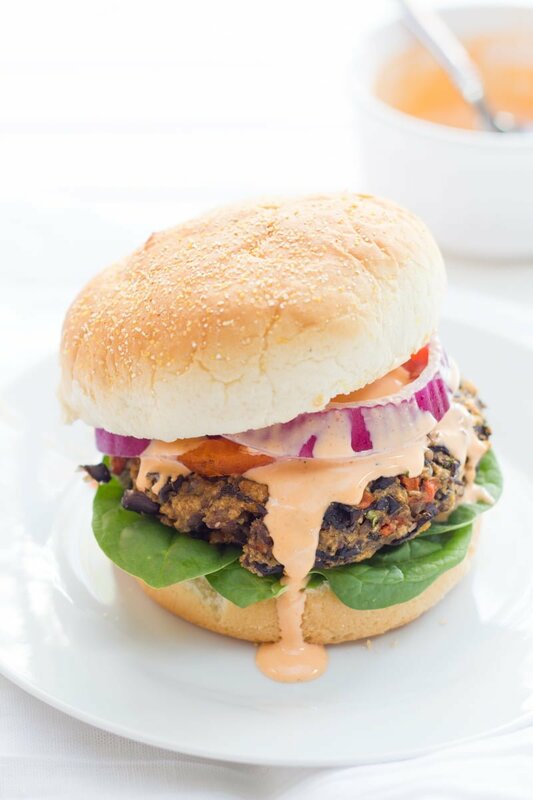 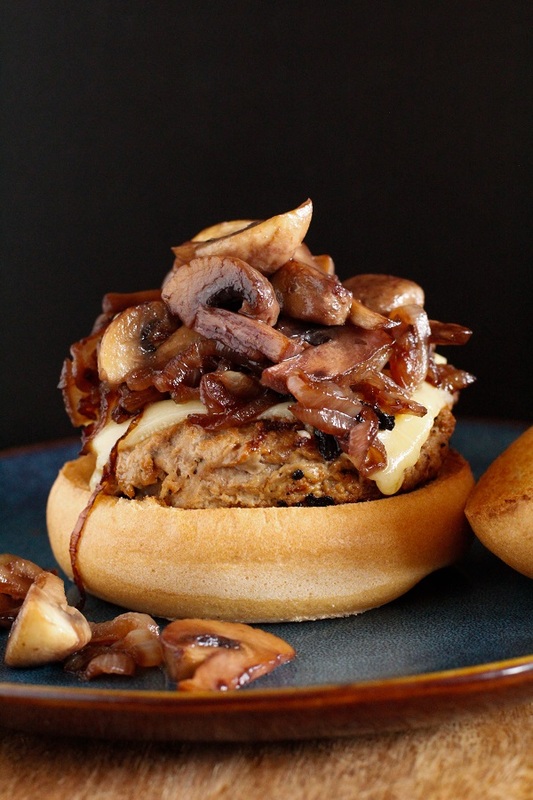 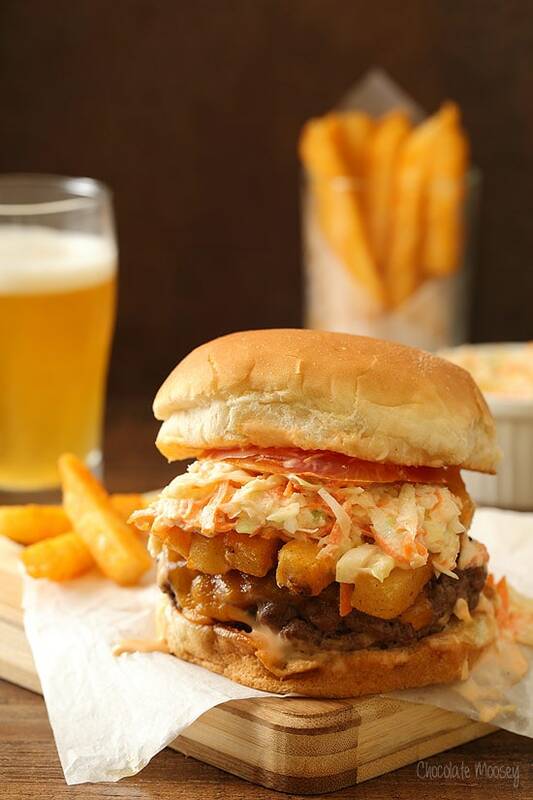 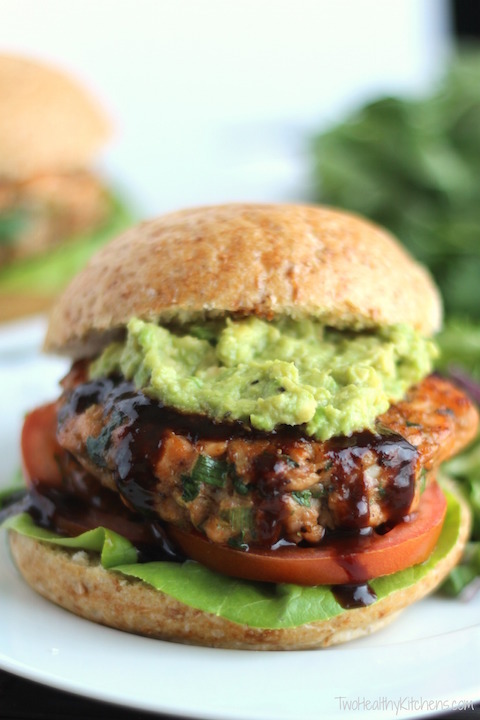 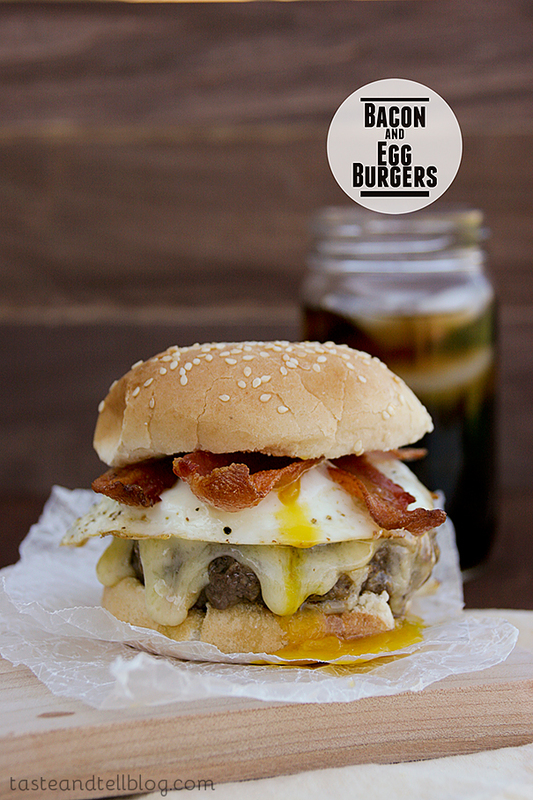 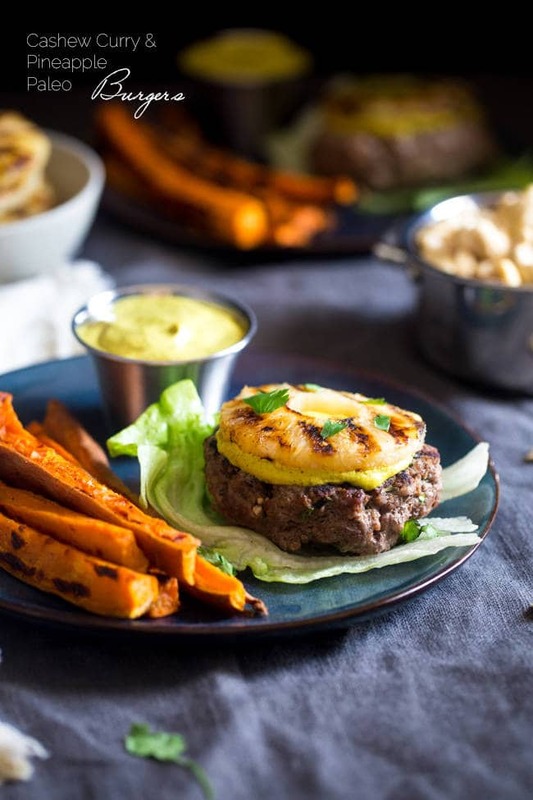 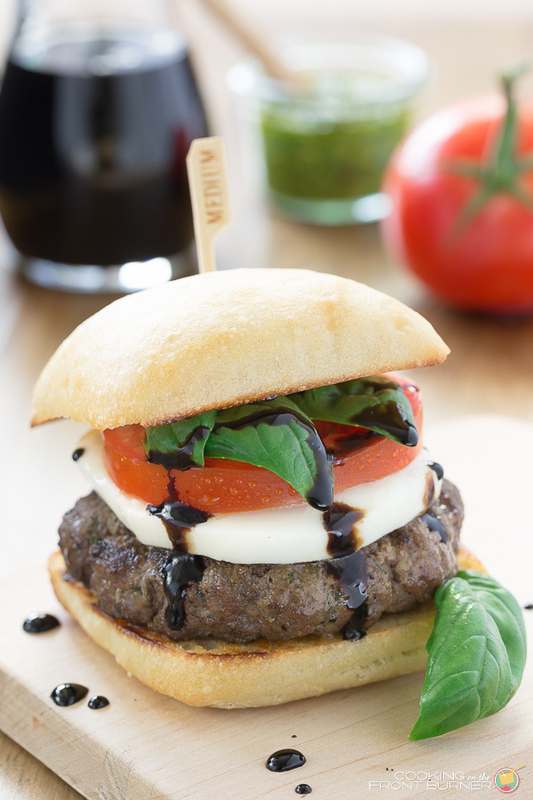 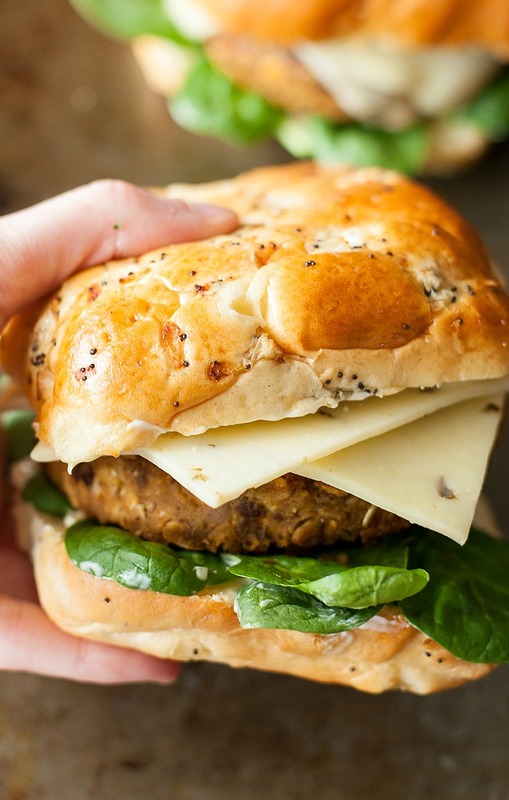 To keep your burger game strong, check out this month's recipe round-up on Taste As You Go! 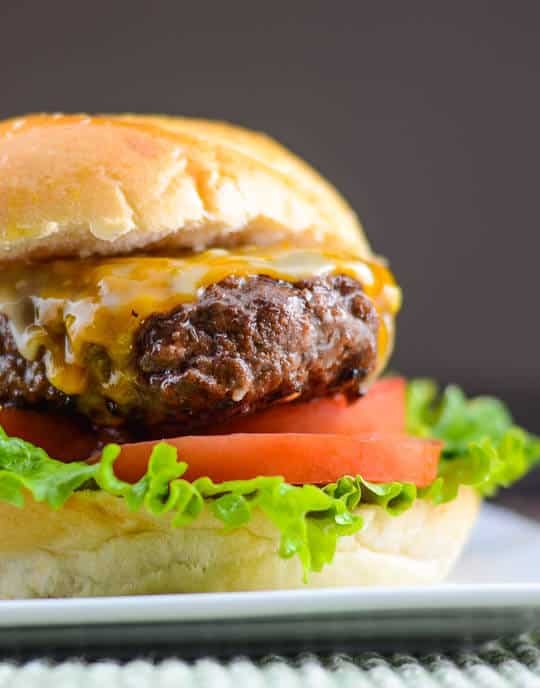 We usually have a couple of grills fired up at once, so it makes sense that we serve burgers week after week. 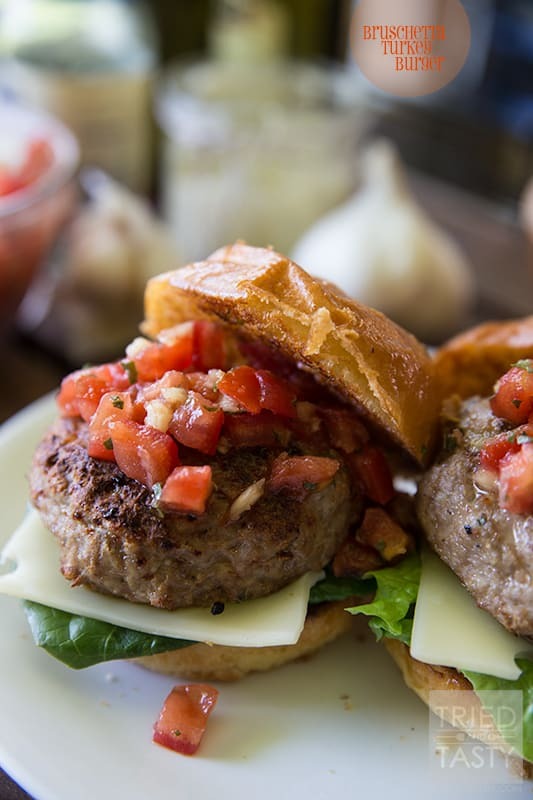 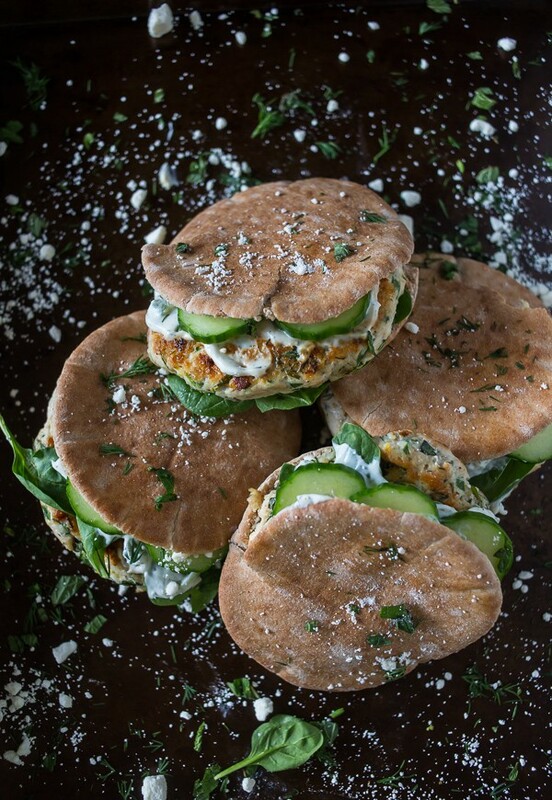 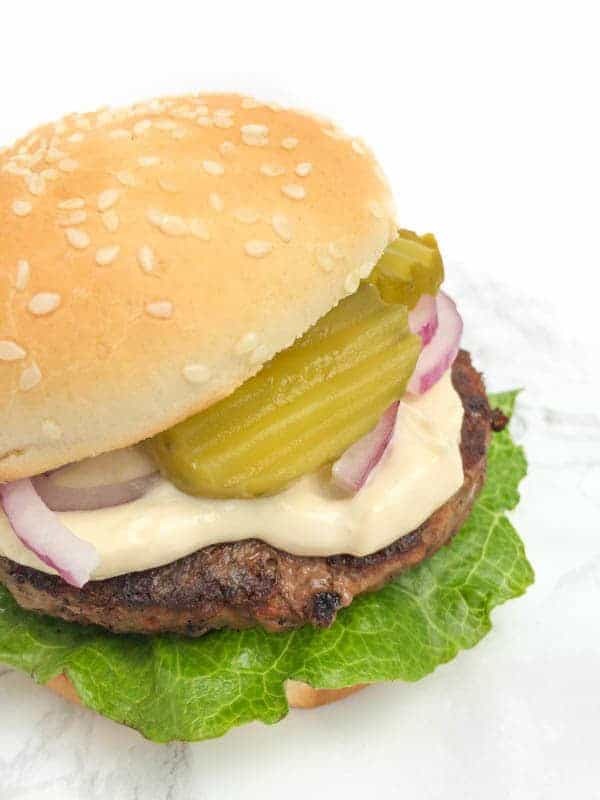 Especially since they're simple to prepare, easy to cook, and incredibly versatile in terms of the types of patties you use and the kinds of toppings you provide. 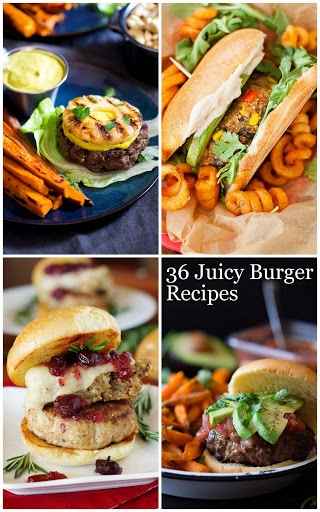 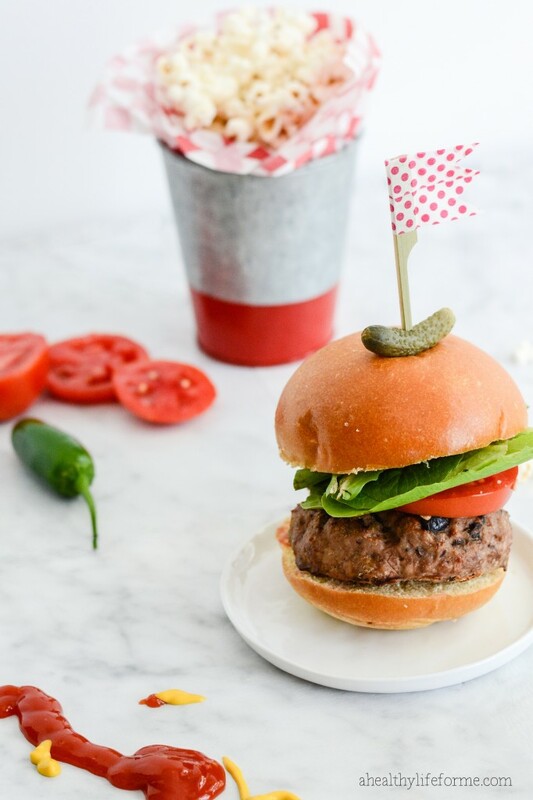 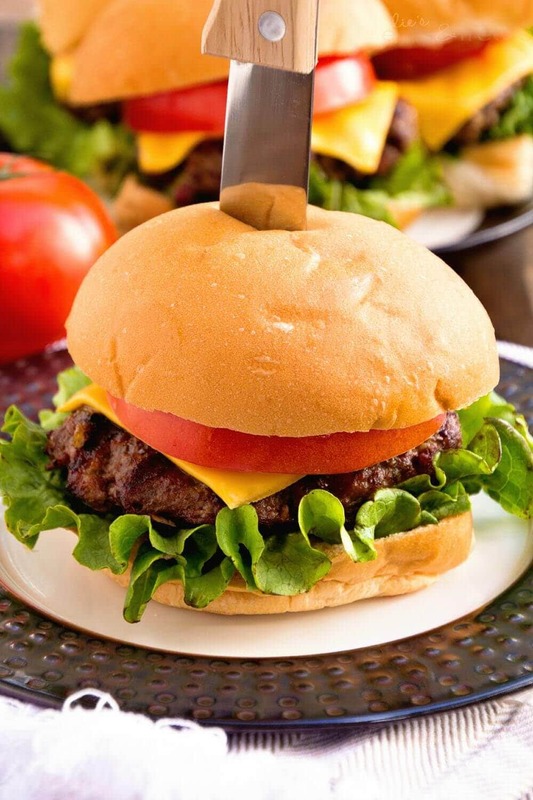 In honor of one of our favorite weekend activities (aside from having Sunday brunch), I've put together this photo-heavy round-up of 36 Juicy Burger Recipes for you to use as inspiration the next time you're planning on throwing some burgers on the grill. 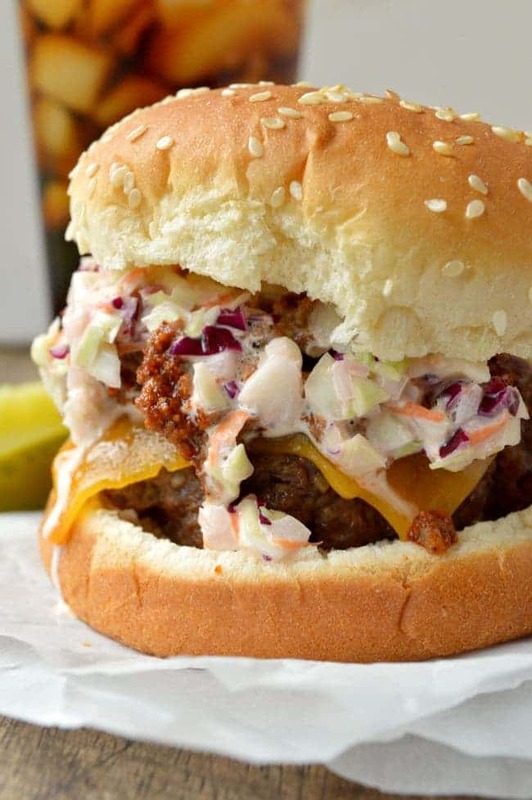 What's your favorite tailgate food? 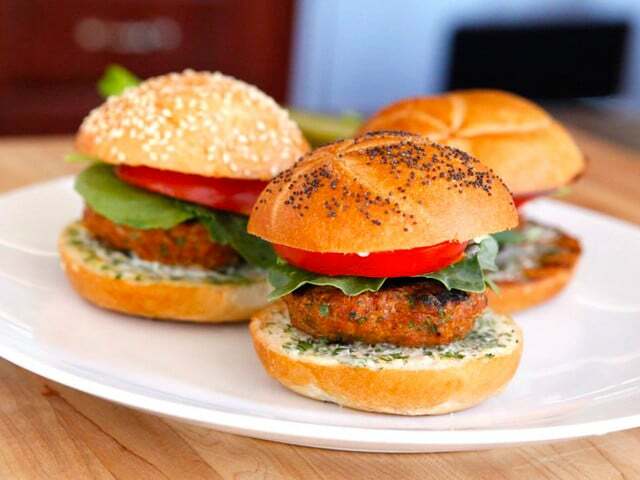 Let me know in the comments and I may just use your answer as inspiration for an upcoming recipe round-up!